How cute is this block? It arrived from Leonie as part of an unofficial swap that we have got going. You see, I felt a bit sad that I didn't have the time to take part in round three of the Modern Sampler Bee. I knew that I couldn't commit to making all the necessary blocks, but was sure that I could find the time to make a couple of extra blocks, so offered to do an informal swap with a couple of friends- and I'm glad I did... How cool is this??? I will have to think of a good block for her in return... I have a few ideas already but now have to narrow them down. That toadstool is super cute! That quilt is going to be amazing! Cute block! I really like the quilt, too. Very nice. Wow! your quilt is impressive. I love the block designs. I love the colors. 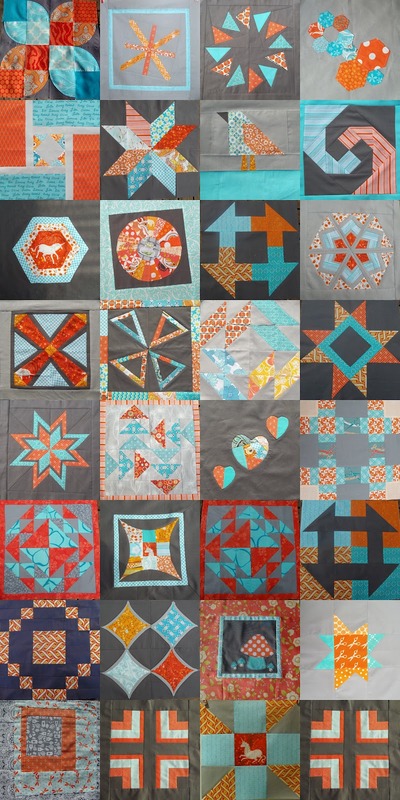 I love the mix of modern with classic quilting designs. Cutest block ever!! :o) I'm so glad to have met you and Leonie through the block swap. Leonie is the best right? So sweet. Your quilt is going to be a stunner! 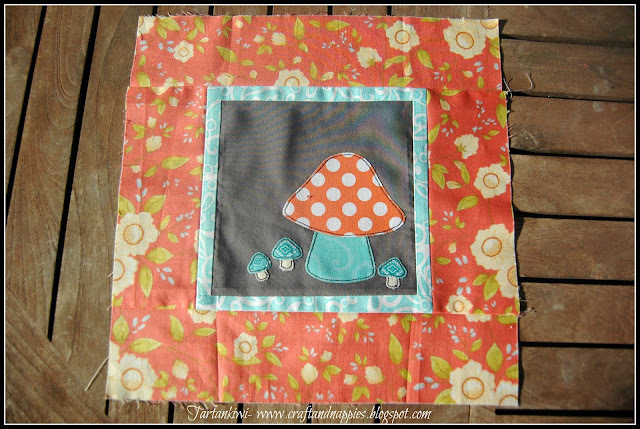 The toadstool is amazing, love the sampler! Your quilt is looking so fantastic, and I love the toadstool. Your toadstool is the cutest. I think it'd make a great pillow.